Over the years, Eli Lilly & Co. has faced a number of lawsuits linked to its blockbuster antidepressant, Prozac (fluoxetine). In the 1990s, Eli Lilly faced a high-profile federal lawsuit claiming Prozac led a man to murder co-workers and then commit suicide. The company paid millions in settlements, and the cases were resolved. The handful of remaining lawsuits claim Prozac caused birth defects. Prozac (fluoxetine), manufactured by Eli Lilly, is one of the world’s best-known, best-selling prescription antidepressant medications. But the infamous “happy pill” has also sparked considerable litigation. In the 1990s, Eli Lilly faced lawsuits alleging it failed to warn that the drug could cause violent behaviors and suicidal thoughts. More recently, plaintiffs have sued Eli Lilly after the U.S. Food and Drug Administration linked Prozac and other selective serotonin reuptake inhibitors (SSRIs) to an increased risk of birth defects. Of the hundreds of people who have sued Eli Lilly, some have received settlements and others have voluntarily dismissed their claims for supposed lack of evidence. The FDA approved Prozac in 1987, and just a few years later, the drug had its first lawsuits. Lawsuits alleged that Eli Lilly was “grossly negligent” in its failure to properly warn doctors and consumers about potential dangers, including violent, aggressive and suicidal behavior. 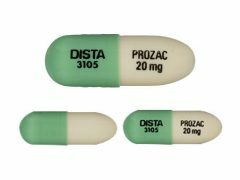 In 1992, the Federal Judicial Panel on Multidistrict Litigation moved 75 federal Prozac cases to MDL 907 in the U.S. District Court for the Southern District of Indiana. And hundreds of individual cases were scattered across the country. By 2000, Eli Lilly had reportedly paid more than $50 million to settle more than 30 Prozac lawsuits related to murders or suicides, which doesn’t include additional undisclosed settlement amounts. After a spike in Prozac suicide lawsuits in the 1990s, the drug lost its patent, and litigation against Eli Lilly waned as generics flooded the market in 2001. An FDA-required black box warning for suicide ended all “failure to warn” lawsuits. The few cases that remain claim Prozac can cause birth defects. The MDL is no longer active. The Fentress case was the first major Prozac case to go to trial. The 1994 lawsuit claimed that Joseph T. Wesbecker was on Prozac in 1989 when he took an AK-47 and shot and killed eight colleagues, wounded 12 others and killed himself. After a jury ruled in favor of the drug company, the judge overseeing the trial accused Lilly of questionable ethics and trial fixing. Judge John Potter suspected something was amiss after plaintiffs’ attorneys deliberately withheld their strongest evidence against Lilly. Information later emerged that Lilly and the plaintiffs had reached a secret settlement during the trial so that the company would receive a favorable verdict. The exact details of the settlement are unknown. In another media-worthy case, a judge in Canada ruled that the effects of Prozac caused a teenager to murder his friend in 2009. Manitoba Judge Robert Heinrichs described how the killer went from being a loving child to a dark, depressed drug abuser, the Winnipeg Free Press reported. Romona Floyd filed a suit on behalf of her deceased daughter, Jessica Ann Ray, after a federally funded clinic improperly prescribed Prozac in 2006. According to Floyd, Prozac caused Ray to try to commit suicide. Ray’s attempt did not succeed, but she suffered severe brain damage after trying to hang herself. She eventually died from complications of her physical condition. “The court finds that Jessica Ray endured significant pain and suffering during the three years and 47 days that she lived after her suicide attempt. She was trapped in her body, completely disabled, yet aware of her surroundings and able to sense pain and discomfort. Placing a monetary value on such pain and suffering is difficult, but the court finds in its enlightened conscience that reasonable compensation for the pain and suffering experienced by Jessica Ray from the date of her attempted suicide to the date of her death is $500,000,” the judge wrote in his order. Judge Land awarded $474,972.20 for medical bills; $9,523 for funeral and burial expenses; and $500,000 for pain and suffering. The total award was $3.459 million. The majority of Prozac litigation dealt with side effects of suicide and violence, but more recent cases accuse Eli Lilly of failing to warn that Prozac can cause birth defects. 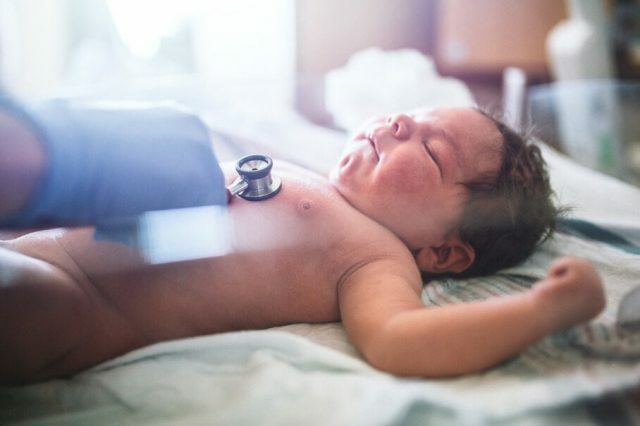 Dana Fields sued Eli Lilly in 2013 after she took Prozac in 1996 and gave birth to a son with a severe cardiac birth defect that required open heart surgery twice — once when he was six weeks old and again when he was five years old. Fields took the drug during her first trimester of pregnancy, which is when cardiac development of a fetus occurs. Lilly attempted to dismiss the suit in 2015, but U.S. District Judge Keith Watkins denied the defendant’s summary judgment motion. However, Fields was unable to produce an expert who could connect Prozac to birth defects, and she ultimately lost the case. There have not been any successful cases against Lilly for birth defects linked to Prozac. In 2002, Eli Lilly came under fire for questionable marketing practices after hundreds of Floridians received unsolicited samples of Prozac in the mail from Eli Lilly and Walgreens. Packages included a one-month supply of Prozac. Among the recipients was Michael Grinsted, a 16-year-old from West Palm Beach. According to CBS News’ 60 Minutes, Grinsted had never taken Prozac or any other antidepressant, and he was mystified as to why anyone would suggest he try it. The free pills came alongside a letter from the head physician at his family doctor’s office. Ann Parsons, 59, was also startled when she received a package of Prozac in the mail. Parsons told CBS she had been taking Zoloft for panic attacks after September 11 — but no one other than her doctor knew that. In fact, Parsons had been targeted by Lilly because she was taking Zoloft. Parsons, Grinsted and others filed a class action suit against Eli Lilly for violation of privacy, but the case was eventually dismissed. Historically, judges have dismissed most of the cases against Eli Lilly. After Prozac lost its patent in 2001, suicide and violent behavior lawsuits dwindled in number. Aside from a few settlements in the 1990s for suicide claims, Lilly has had no major backlash from Prozac litigation. Zitrin, R. & Langford, C. The Moral Compass of the American Lawyer: Truth, Justice, Power, and Greed. New York: Ballantine Books, 2000.